School holidays begin tomorrow for us here in Perth. I love school holidays no lunches and no morning rush. 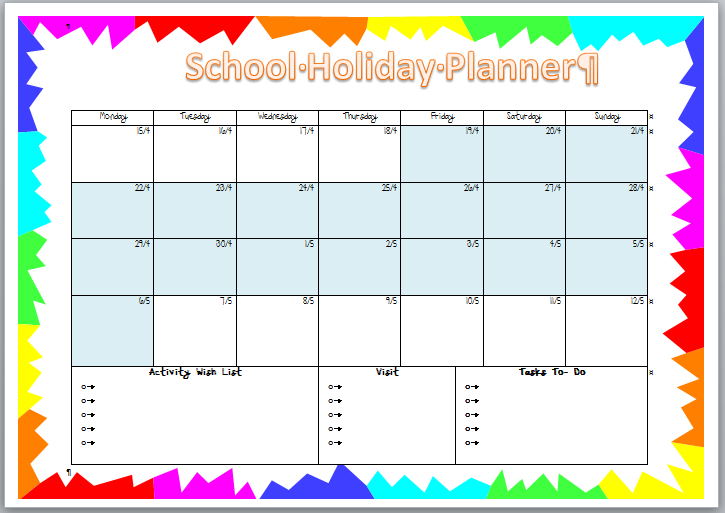 We have a few plans over the holidays, so I have designed a School Holiday Planner. (I have attached a PDF file for you to print out). I put our planner up on the fridge over the school holidays so the kids know what we are getting up to.